Which Masyu to post, which one…OK chronological works. Doesn’t that just look nice? 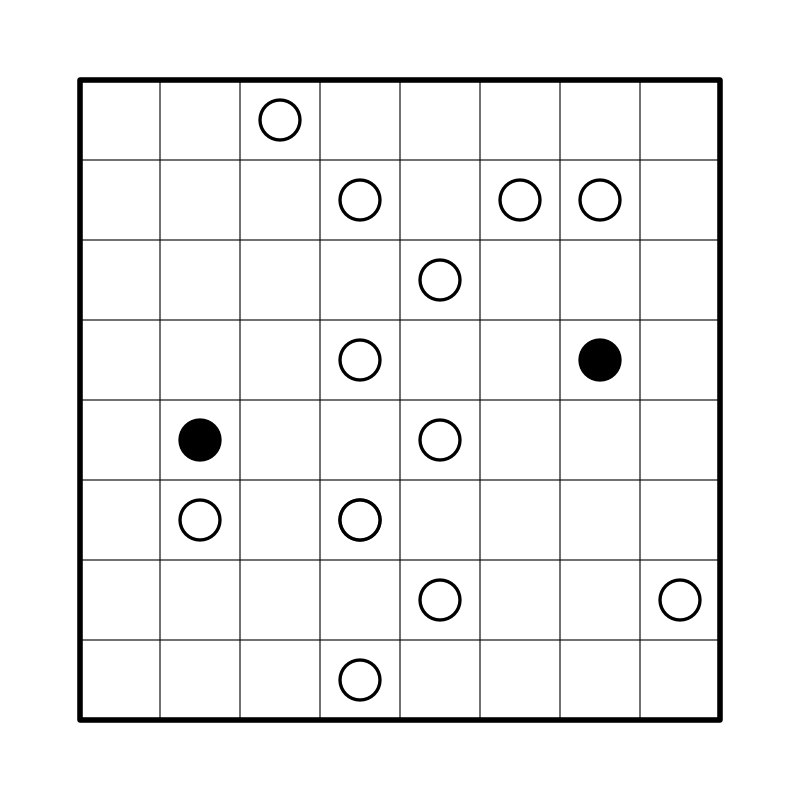 In some sense, symmetry is preserved in the puzzle even after the axis shift. 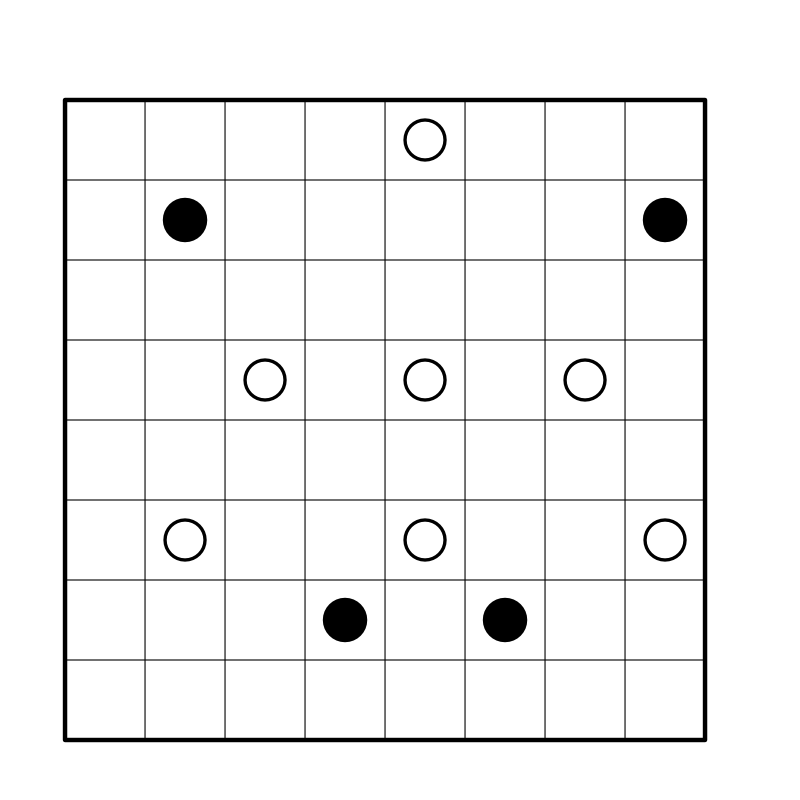 This Masyu is difficult for a 8×8, I think. 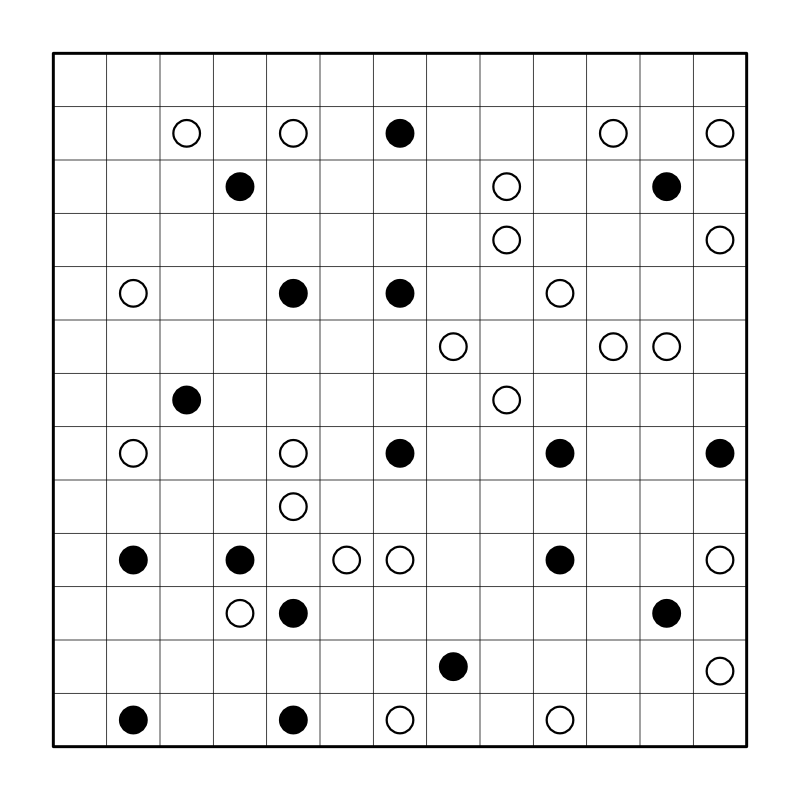 I’ve had lots of time to make puzzles recently.